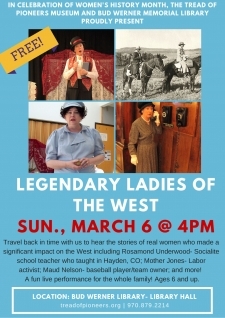 Travel back in time with us to hear the stories of real women who made a significant impact on the West including Rosamond Underwood� Socialite school teacher who taught in Hayden, CO; Mother Jones� Labor activist; Maud Nelson� baseball player/team owner; and more! 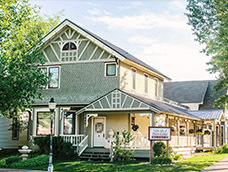 A fun live performance for the whole family! Ages 6 and up.